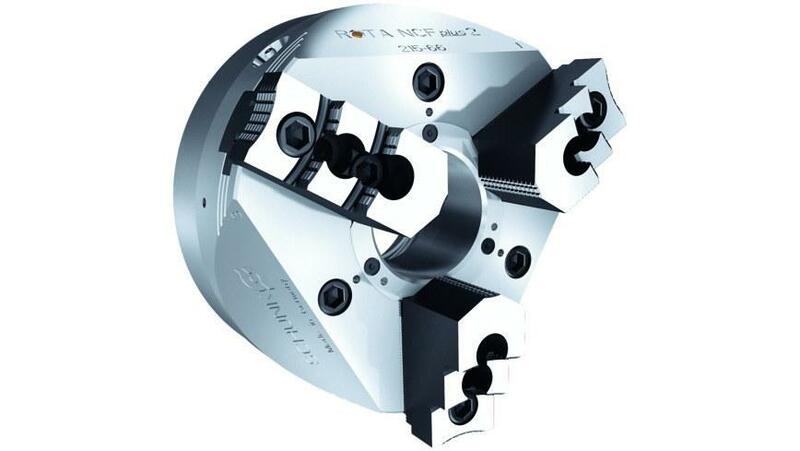 Weight-reduced 3-jaw precision power chuck with centrifugal force compensation in an extremely stable design. - Precision wedge hook power chuck for highest quality requirements. Allows excellent machining processes. - Very high RPM without essential clamping force reduction. Optimum utilization of the lathe chuck performance due to high economic efficiency. - With integrated centrifugal force compensation. Thereby high machining speeds are possible. - Double-guided chuck piston. For highest run-out and repeat accuracy. - Low chuck weight. Fast acceleration and deceleration operations shorten the cycle times.